When it’s time to decorate with holiday lights, nothing can be more frustrating than needing to untangle a web of light strings before you can begin. When this happens, the problem, of course, usually originated at the end of the previous holiday lighting season when the lights were taken down and put away. 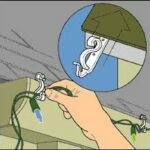 Check light strings for broken or faulty bulbs at the end of the season, when they’re still stretched out. Just plug them in and look for dead bulbs. If you find an occasional non-working bulb, try wiggling and twisting it slightly to get it to work again. If this doesn’t do the trick, put a short piece of tape on the wire next to each dead bulb to identify its location. Then unplug the light strings and replace faulty or missing bulbs. You can buy an inexpensive Christmas light tester on Amazon. Super smart! 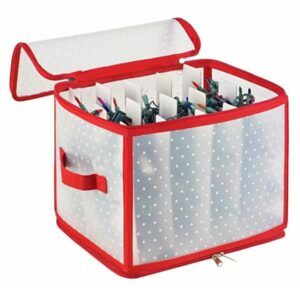 This pack keeps Christmas lights neatly organized and protected—light strings wrap around winder cards. If entire lengths of light strings are not working, the problem is with a fuse or wire. If you can’t repair your light strings, give them to charity. Don’t pack them away to be dealt with next year! 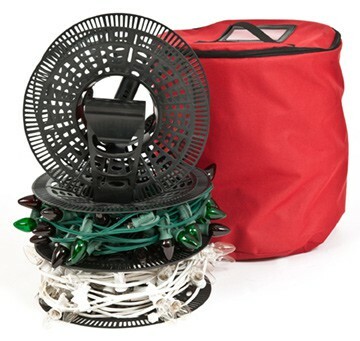 Simple plastic winder is an inexpensive solution for storing Christmas lights. Wind up the light strings—don’t just coil them and stuff them back into their original boxes. Several products are available online to make this job easier, or you can make your own winders. For example, you can wind indoor lights around clothes hangers, or make a simple winder by cutting a V-shaped slot into opposite sides of an 8-by-10-inch piece of cardboard. Just unplug any end-to-end connections and wind one string per cardboard winder. For both indoor and outdoor lights, you can buy commercial plastic winders, spools, and reels. For instance, the simple plastic winder shown here costs less than $7 online at Amazon and makes quick work of a string of lights. Canvas carrier holds three spools for lights. This is a tidy answer if you just have a few light strings. For a more complete answer, you can buy cardboard or plastic winders and spools that fit into storage containers. 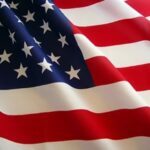 A couple of examples are shown on this page—just click the photos if you want to shop for them at Amazon. For really long strings, you can even use a small garden hose reel. Be careful with light strings. They are not very durable. It doesn’t take much to render them unworkable. Take care not to break or loosen bulbs or break wires as you wind them.